If you follow me on Twitter (and if you don't, um, what are you waiting for? 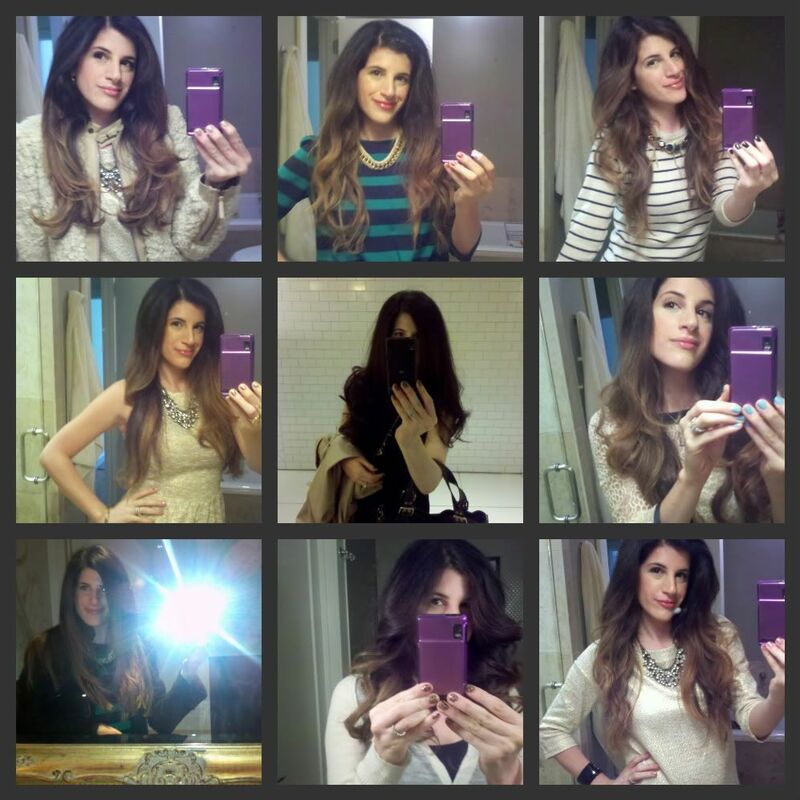 ), you likely know that I am more than a little obsessed with blowouts. Well, I got a lot of them in 2011--and I also shared a lot of cell phone evidence of them. So, as a New Year's wrap-up, I thought I'd share some of my favorite hair moments of the year. Here's to making 2012 a year full of great hair days, and of course, lots and lots of sparkle. Gorgeous hair days, happy new year! GORGEOUS! As a side perk: what a fun way to see your latest mani color! There is NOTHING better than a great blow-out... nothing. Loving all of these, especially the second to last one!